If we imagined the world to be a classroom; one without walls of course, what would our syllabus be? What would our lesson plans look like? Most importantly, how different would the graduating students be? The possibilities are so infinite, the thought itself is overwhelming! It is these possibilities that THINK Global School tries to explore in a unique educational philosophy. THINK Global School (TGS) is a travelling high school which takes its students to a new country every semester, thus making them live and learn in four different countries in a year; very often in more than two continents. With the aim to mould the next generation of changemakers – well-rounded individuals with the vision and initiative to change the world – TGS cohorts move around the world by learning in it and not just about it. Joann McPike, the founder of TGS, has travelled and photographed more than 100 countries. In the process of finding a suitable high school for her son Alex, one which honoured his wanderlust, she figured that almost all existing schools fell short. Schooling often means “settling down” and “staying put”; not only for students, but also for parents. Joann and her husband Harry did not want to slow down Alex on his trajectory and thus gave wings to their idea to start a school themselves with travel, cultural immersion and empathy in focus. TGS envisages an educational journey where “classroom has no borders and learning knows no bounds”. Their mode of learning draws from and documents experiences rather than book-based lessons. Students visit tribal villages, city streets, marine habitats, national parks, universities, temples and shrines, marketplaces, museums, cultural centres and sometimes traditional classrooms too. TGS started off in September 2010 with a host school in Stockholm, Sweden, with 15 students from 11 countries in the first batch. But partnering with a host institution isn’t something that is done in every term. 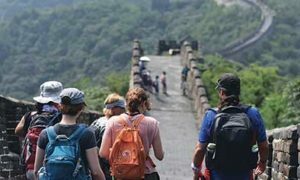 When it happens, students have the opportunity to meet local teens and forge new bonds; they meet and interact with local communities in every country anyway. Students who join in 2019 will travel to Bosnia & Herzegovina (BiH), Australia, Chile and Italy in 2019-20; Botswana, India, Japan and Spain 2020-21; and China, Oman, Costa Rica and Greece in 2021-22. Eight weeks of school followed by five weeks off, done in four different countries, constitute one academic year at TGS. The five-week breaks give students the option of taking up internships or projects of personal interest and also ensure that they do not miss home much or for too long. “In every country we visit, we have, sort of, a base camp – a central facility where students and teachers have comfortable living facilities with access to food and other amenities. In places like Botswana, it is not very comfortable per se; but that is by design. While students are encouraged to travel light, they may not always do that. But as they go through each term they get more efficient and learn the perks of being mobile,” says Lee Carlton, Marketing Director of THINK Global School. While they are in school, they take up key responsibilities of community living. Students are expected to do their own laundry, keep their surroundings clean, etc. They also do a fair share of cooking where they delve into the culture of that location by experimenting with local recipes. Typically, students around the age of 15 get admitted and they graduate at around 18. This teenage bracket is undoubtedly a tipping point in life; a formative time rather, when you are transitioning from a child to an adult, when you are figuring out your world views, when you are synthesizing the idea of who you want to be and what you want to do in life. To be in a dynamic environment, and a new one in every three months, during this course of time could be life-changing. 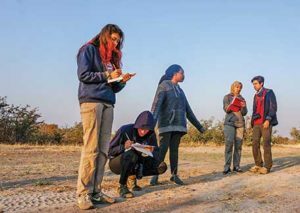 It is life-changing, as TGS student of class of 2014, Yada P. testifies: “Learning while travelling has made me realize the span of what is possible. When you’ve climbed to the tops of Africa’s highest peaks and talked with the world’s most esteemed scientists as a teenager, your definition of impossible changes.” Maybe the word itself ceases to exist. Who gets to study here? Considering the quantum of international travel involved and an enviable student teacher ratio of 4:1, one of the primary questions that anyone will have about TGS is – who gets to study here? TGS gets a diverse applicant pool every year, from across the world, and their ideal student is typically more mature for their age. They have a rigorous process in place to identify the right students and it starts off with parents and students filling out a questionnaire and sending in copies of their previous score cards. The students who cross this level of screening fill out the Emotional Quotient Inventory (Youth Version) which helps the school understand where the candidates stand in terms of emotional and social development. “The results of the EQ Inventory play a critical role in the student evaluation process, as we want to identify, early on, factors like resilience, a strong emotional foundation, adaptability, empathy, and the ability to manage stress and changing conditions. It takes a special breed to say the least, but we’ve been very lucky over the years to have found just that in our students,” explains Lee. It is at this juncture that the generous grant from The McPike Foundation helps a diverse pool of brilliant students, an innovative curriculum and a world of possibilities come together. Due to this grant, TGS is able to accept students from all social and economic backgrounds, regardless of their family’s financial situation. Of course, it is not practical to run the school on full scholarships alone; it is a mix of full pay, full scholarship and everything in between – just like the diversity in locations where they live and learn. Drawing inspiration from great pedagogical thinkers including Kurt Hahn, John Dewey, Sir Ken Robinson, Paulo Friere, Sugata Mitra, Reggio Emilia, John Holt, John Taylor Gotto and Daniel Pink, TGS has formed its own philosophy: teach to individual students, giving them the tools and environments they need to succeed. Changemaker Curriculum follows a unique model of education put together by TGS, focusing on development in three key areas – mastery, autonomy and purpose – to mould global citizens who can drive change. Mastering skills and concepts rather than regurgitating facts is the first aspect. There are three ranks of skill development: apprentice, specialist and master, and all students must achieve the rank of apprentice in 70 per cent of their learning targets and the rank of specialist in 30 per cent of their learning targets, and also complete one mastery project. Developing oneself as a self-guided learner is the second. While there is a robust advisory framework and a continuous feedback loop within which teachers work with the students, the emphasis is on equipping students to learn on their own and making them imbibe learning as a lifelong endeavour. Finding one’s larger purpose, beyond the goals as an individual, in making a real and lasting difference to the world we inhabit, is the third. 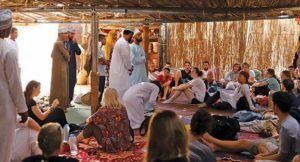 As young adults being trained to make change happen, students also have the opportunity to listen to and interact with global changemakers who have paved the way for them. Political commentator Noam Chomsky, economist Christian Felber, playwright Lucy Aliber, entrepreneur Sir Richard Branson, long distance runner Ray Zahab and Prime Minister of Bhutan Tshering Tobgay are just a few of the eminent people who have shared their inspiration with TGS students. Since the curriculum is based on places and projects with no standard classrooms involving instructor lectures or battles with tests and grades, the unique background with which every student arrives is not just not detrimental, but beneficial to the whole group. In every country, students can choose from a bouquet of teacher-led modules that is specific to the location. In each module, students have to deal with one “driving question” and they can choose to answer it in whichever way they deem fit, as long as their strategy satisfies the learning targets that accompany the module. When students get ample choice in how to learn and what to learn, they are in a natural process of identifying what they are genuinely passionate about – a discovery that is pivotal to their future. At TGS, teachers enjoy letting the students control the narrative. It is exciting for them to watch how kids approach the driving question in a teacher-led module from different perspectives. It takes really special teachers to embrace the nomadic lifestyle that TGS calls for. They are the guiding light who live that life and set an example for students. The student-teacher relationship at TGS truly transcends the classrooms as they spend a lot more time together. Living away from home isn’t an easy experience for all and teachers double up as the support system that helps students transition to a life abroad. TGS is an Apple Distinguished School for 2017-2019 and needless to say, technology is integral to how learning happens at this school. Students use gadgets to communicate, conduct research, create and publish content, and track their projects through Edio, a project-based learning software. Teachers also help them adapt to a world of technology that is changing more quickly than ever. A core value that governs education at TGS is empathy. While it is true that technology makes it possible for us to understand stories of people living in different parts of the world, there is only one way to truly experience their unique lives – living with them. By connecting education to environment, there is a meaningful relationship that is established between the guests and the hosts. The service learning component in the Changemaker Curriculum ensures that as much as the students learn from these diverse locations, they give back to the communities there. 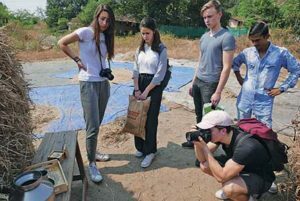 TGS students have taught English to Chinese migrant students, established composting pits in India, and made documentaries chronicling rebuilding efforts in an earthquake-devastated region of Japan. TGS utilizes a narrative report which paints a comprehensive picture of how a student’s time went in a country. A self-assessment by the student on how they evaluated their growth during the term is integral to this narrative as is the educator-in-charge’s inputs on how the student performed. “These narrative report cards can be drawn from or directly passed on when it comes time for college admissions. The learning targets are also correlated with courses when it comes time to prepare a student’s transcript, so at this time our transcripts look pretty standard – a list of courses with an associated score,” says Lee Carlton. He further explains, “When we were researching the requirements for acceptances into universities worldwide, we noticed that the vast majority of schools would accept students based on their high AP Exam* scores. With this in mind, many of our students also prepare for these exams during the course of their studies, and sit them during time we have set aside in term four of the school year.” TGS has an excellent college matriculation rate – around 95 per cent of the students have gone on to college. While the individual course of action may vary for the students who graduate from TGS, one thing is common to all of them and certain as well – they are all equipped to make change happen. In three transformative years, the school ensures that these stones are set rolling forever, not gathering any moss in the process; so that they turn out to be shining rocks, the building blocks that we want our world to be (re)structured with. *Advancement Placement is an independent program run by College Board, an American not-for-profit organization, which gives students the chance to tackle college-level work while they’re still in high school and earn college credit and placement. The author is a freelance media professional based in Kochi. A post-graduate in Mass Communication from the University of Hyderabad and an M.Phil. in Gender Studies, she writes on topics ranging from gender and education to food and entertainment. She can be reached at ardramaanasam@gmail.com.